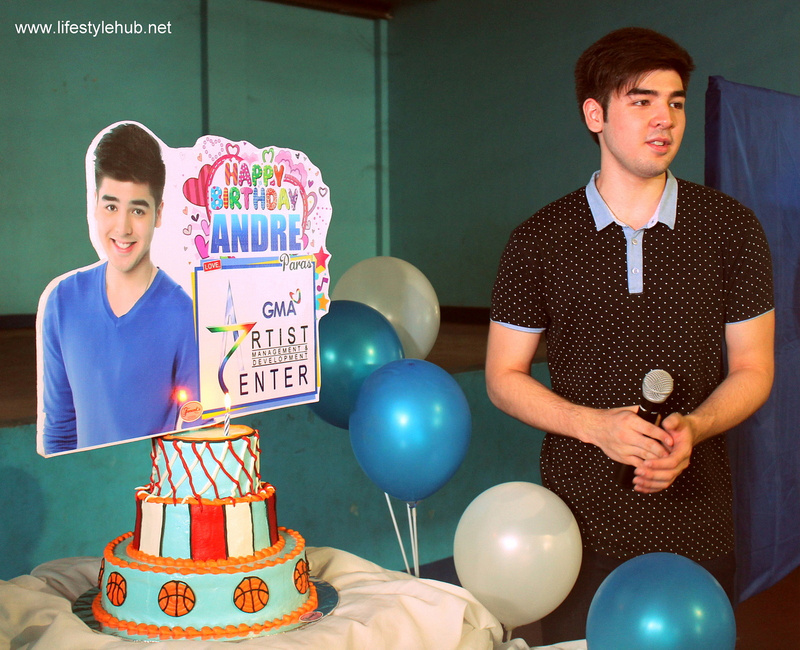 The first question I asked Andre Paras during his birthday celebration is his height. He was not even sure. "Around 6'3" or 6'4"," he said. At 19, there can still be some more inches that can be added to his already towering posture. 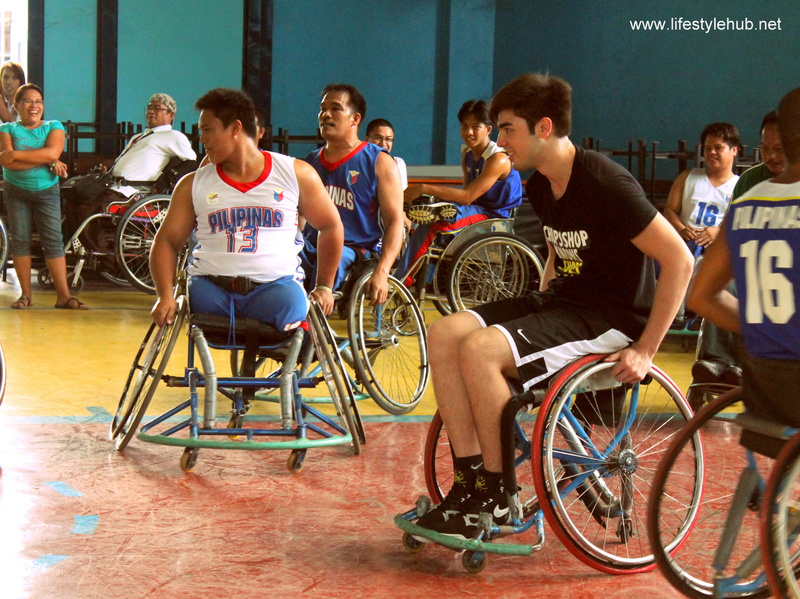 With just a quick glimpse, you'll know he will make an effective basketball player. But being a cager is not the sole entry in Andre's birthday wanna-be list. 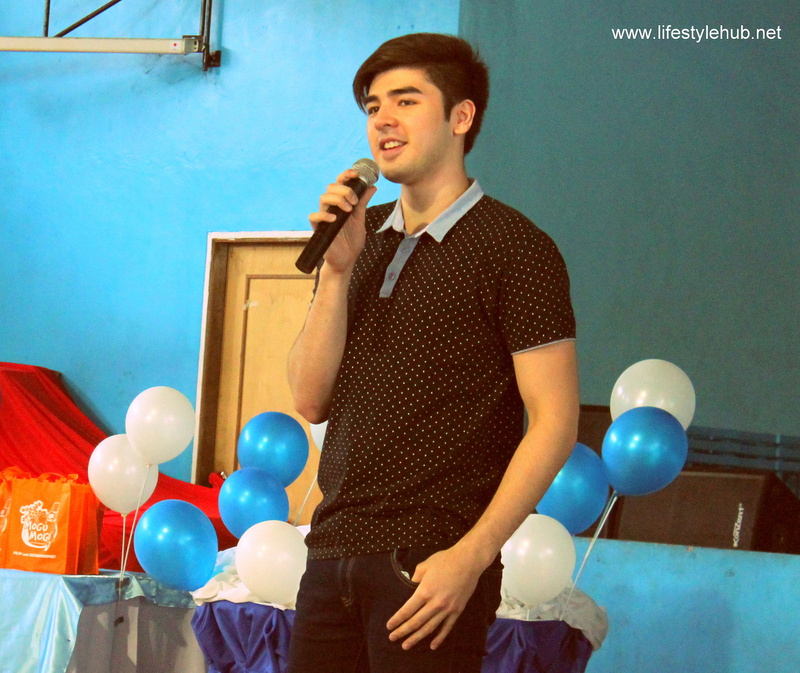 He also wants to be an actor and an excellent VJ. Dream life roles that he is already joggling as of the moment. Basketball is taking a lay low though, shares Andre but his acting career is blossoming with him being a part of the top-rating afternoon soap "The Half Sisters". He is also one of the main VJs for MTV Philippines. With a lot of things on his plate, Andre can be a superman. But let's chat with perhaps, one of the young celebrities that we need to watch out for. I picked some of the highlights to write here but if you want to view the whole interview, I embedded the video below. How exposed are you to Charity works like this? 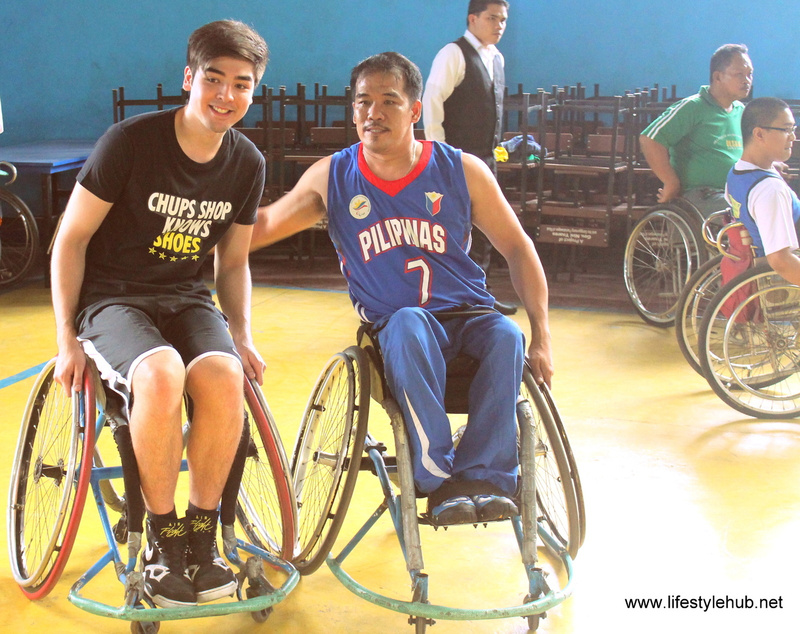 (Andre played with the Philippine National Para-Basketball Team at the Tahanang Walang Hagdan in Cainta, Rizal) Is this your first time? Yes. This is my first time. 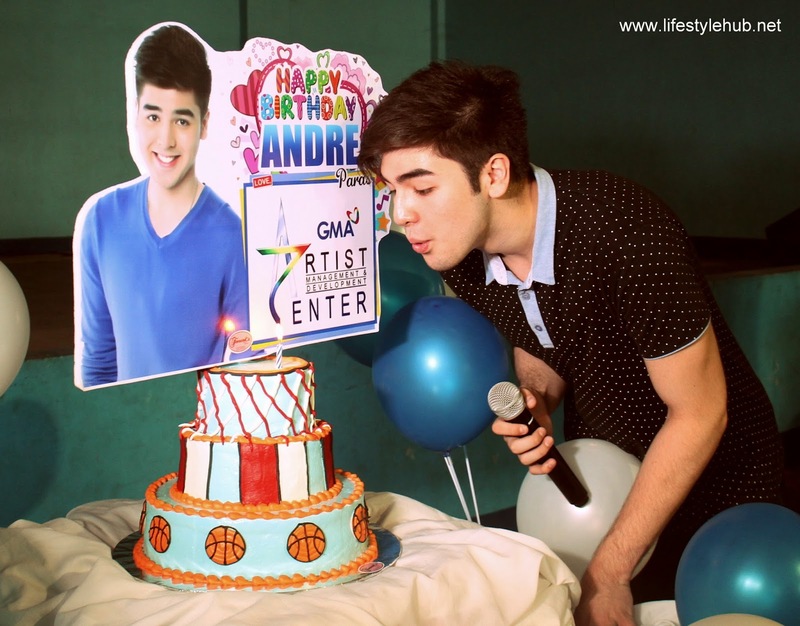 I wanna thank GMA Artist Center gave me a chance. I wanna celebrate my birthday naman. Honestly, I don't celebrate my birthday. When I was a kid, I don't want my parents to spend anything. People say I'm kuripot but I wanna do something different. With Kobe now part of the UCLA, di ba pumasok sa isip mo na sana nag-concentrate ka na lang din sa basketball? It went in my mind. Pumasok rin sa isip ko na sana I played basketball like Kobe. Pero, I was given this opportunity to act and entertain people and to also improve, like I do a lot workshops. I'd rather stay here and let Kobe do the basketball. I am really proud to watch him talaga and I am here to support him. How often do you and Kobe communicate? Every day. Kahit different timezones talaga, we make it a point to talk to each other. Minsan we fall asleep on each other. We're both single. Which is fun because we get to talk about mga crush namin. For some reasons, we became more open nung nawala kasi sayang, like, I wish we could have talked more. Hindi ka pa ba napapagod sa pressures ng soap opera with the long hours? Honestly, I am used to it na. Call time sometimes is 10AM. We go home 2AM the next day then I go straight to training at 6AM. Before it was awkward. I used to watch them on TV. Now, it's more of I am working with them and I built a friendship with them. And I love going to taping early just to see them and talk to them. They're the only people I see besides my classmates and teammates. Now, that you're 19, what are the things that you want to achieve? Aside from the ones that you already achieved. I wanna achieve more in acting and also in basketball. I wanna go to workshops, learn new acting tips or skills. Hopefully, when I become older and in the next shows, I can develop it. It's really my drive. I want to entertain people.